Well, the Sunny dress was a hit. Not only did it fit perfectly, but everyone (especially mom) LOVED it! She loves it so much, she wants me to make some as gifts for friends. Miss C has said it might be her first-day-back-at-school dress. She also said that because she has to sit "criss-cross applesauce" she may need some matching bloomies so the boys don't see her undies. I used the free Sunny Days shorts pattern from Oliver + S and shortened the hem. They worked perfectly. 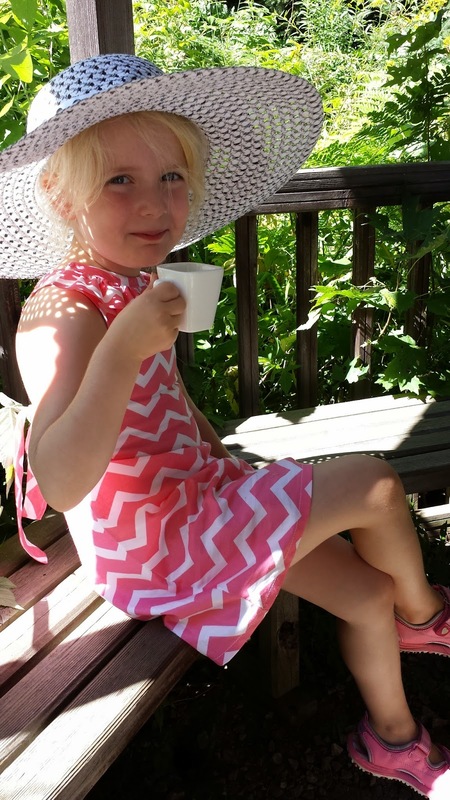 On a summer day it's the perfect dress to wear - with a hat of course - for afternoon tea in the Gazebo. However lazy summer days are over and it's back to school. She did indeed choose this dress for her first day back at school. 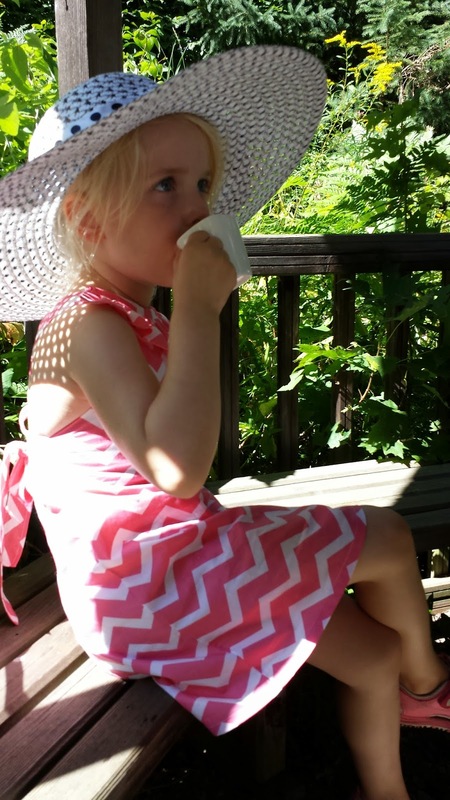 She is adorable wearing that hat and drinking her tea! The dress looks like a perfect fit, and I am so happy she enjoys wearing it so much! Thanks for sharing! Looks so great on her - truly a perfect for 1st day of school! I cannot look at the dress for looking at her...she is so adorable. I bet her and Lorelei would be the best of friends if they had the chance! Great fit and a great pattern! She's grown so much!! The Sunny dress is adorable. 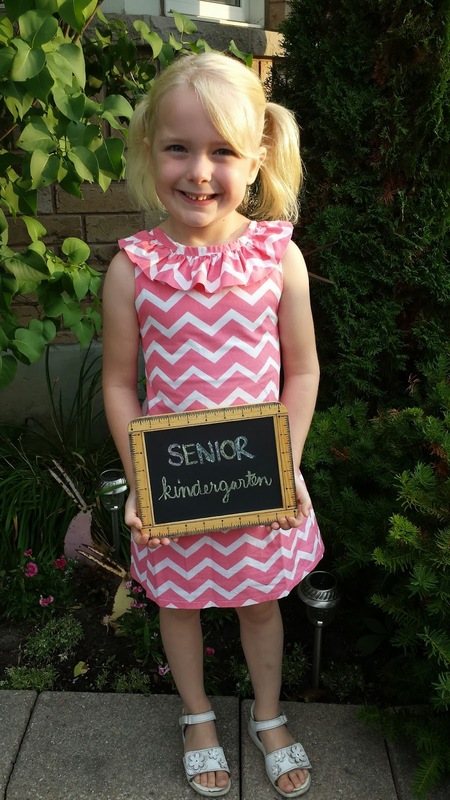 I hope she had a wonderful first week of school! What a wonderful dress! She is so adorable!